The Earth in 2032: Humanity is out of natural resources, the landscapes are going to drown and desertification hits the other parts and so in need of alternative energy production-side. 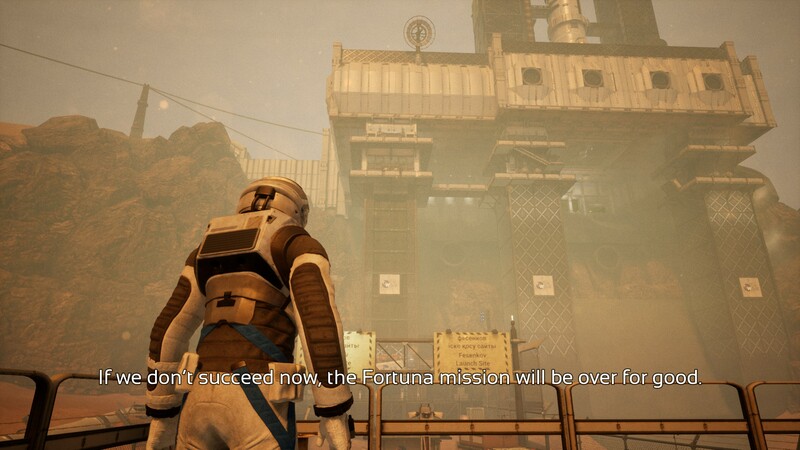 Well, this could be a todays scientific forecast for the earth in 20 years, but actually it is the setting of KeokeN Interactives new adventurous space game. The World Space Agency (WSA) found the solution on the moon. Helium-3, which is going to be shot from the moon as a bundle of energy, to the earth to ensure the supply. But in 2054, the blackout happened. No connection to the mooncrew, no electricity, nothing. A total blackout on earth and no chance of improvement. The next and last hope for humanity is you. After years of darkness, are you the chosen one to bring life back to earth. The mission: find out what happened up there and get the system up and running again. That’s the long story short. The trailer didn’t set to many expectations for an action-packed gameplay, so I just focused on the atmospheric implementation and for sure the storyline. That had to be the one part, that keeps you playing. If you want to compete with nowadays adventurous space games, it’s necessary to come up with new ideas or fantastically realized gameplay. A big challenge for KeoKen as a Kickstarter project to realize all of this with a low budget. First of all, you have no connection to the character you play. There is no background story about him, so you are not really going to know who you are. A point which is actually not too bad, cause now you can concentrate on the crews fate. A little pity is, that there is no real tension in gameplay or story. Tasks where your actions decide if you live or die make pressure just by running a countdown and if you are not asleep, you will do it in one run. But that’s alright, because it promotes self-confidence in your gaming skills. Educational valuable! Actually, there is no bigger problem if you die in one of those stress situations, cause when the timer starts, there is always a saving point. In contrast, if you are just running around the station, to investigate the blackout or collect energy barrels to open doors, it takes some time until there is a new auto save spot. Just make sure you quit game at right point to not lose minutes of gameplay. Some of the first reviews for this game on ‘steam’, were filled with disappointment that you would not get enough for your money. Of course, the campaign is quite short in comparison to other games. Maybe that’s because of the missing side quests. But that is where the Devs became active and where players should have a look for the future goals. They came up with some gratis DLC and promise more features in the future, if the crowd funding is going up. 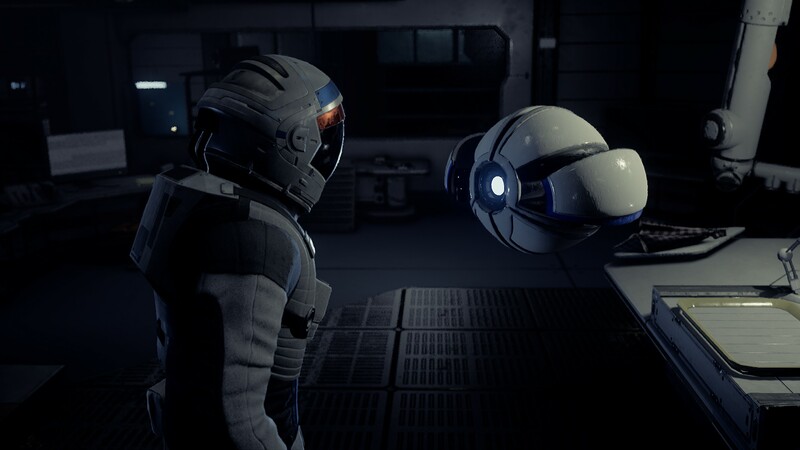 When financial support grows, they want to update to “in helmet” experiences, game compatibility with virtual reality, extra moon bases, an extra mission episode, extra vehicles and last but not least some local coop missions. In my point of view, a really nice target for a crowd funding campaign and hopefully they are going to reach it. 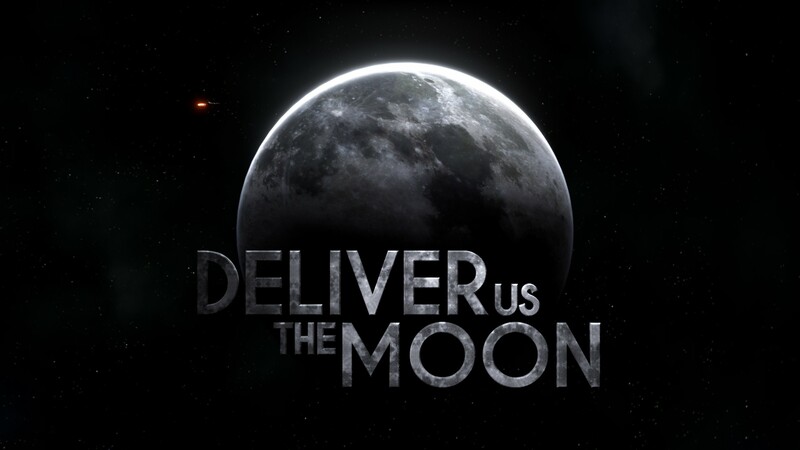 That is why, “Deliver us the Moon” can already bait you with some relaxed gameplay in an awesome environment. Those negative points I have mentioned, are just complain at a high level. The Devs set their focus on different aspects. The game runs with unreal engine 4, what is probably one reason why it is visually super satisfying. 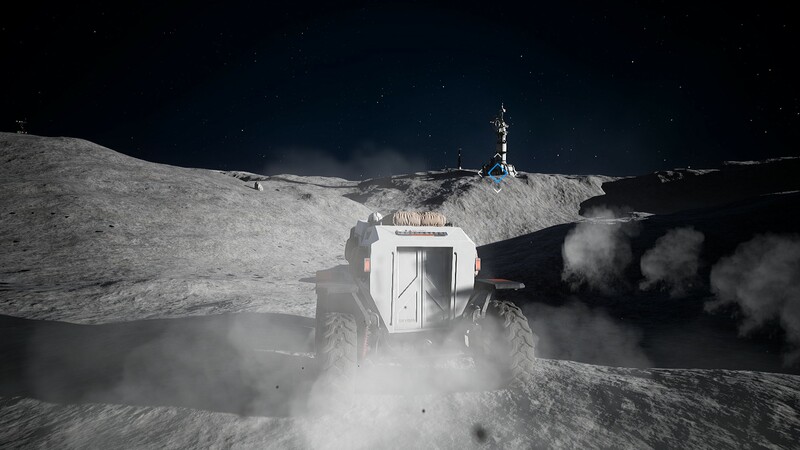 Definitely one of the best things in the game, next to the ability of driving a moonrover for sure. On top of that, you will be able to use your own drone, to discover hidden places and find your way by solving environmental puzzles. You can really enjoy the gameplay, by being introduced bit by bit to the history of the lunar mission. Find diary entries of crewmembers and audio logs of the day when blackout happened. 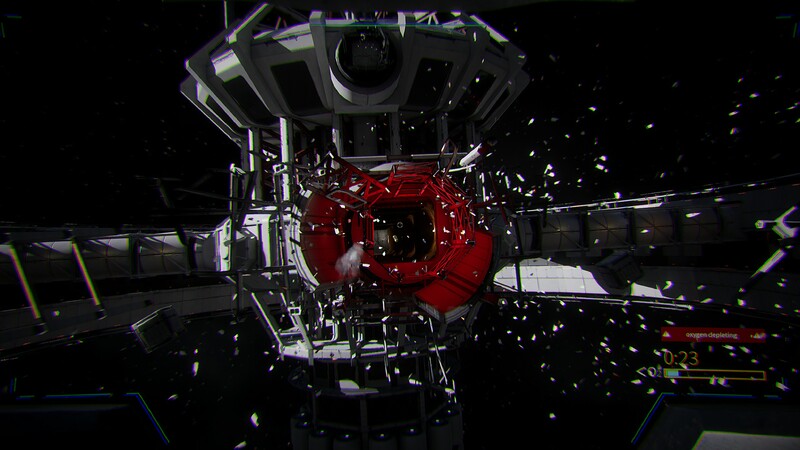 Parts like moonwalking and floating through the silence of space or the empty science stations are gloriously realized. Especially if I think about incoming VR missions for this game, I am hyped to play and see a game like this in VR in such a surrounding. Give it a try, have a look, form your own opinion.